These are the online tools I use that save me time, be more professional and can recommend may help you too. Most of these tools are free, though some you'll need to purchase. Some contain affiliate links to products I use myself and can endorse with confidence. This online scheduler ​is by far the best online scheduler I've found: easy-to-use, customize and integrate with your website. And it can take payments for your services! Book Like A Boss has both free and a selection of paid versions. The BIG BOSS package does everything you can think of. Want 40% OFF for LIFE on the BIG BOSS? I switched to A2 Hosting a few months ago and have been smiling ever since. My sites are noticeably faster. Their support is the best I've ever experienced online. Buy the best hosting you can afford as good hosting is critical for your website's performance and security. This free headline analyzer will encourage you to experiment and find a compelling solution. Devising a great title for your post or subject line for your email is critical for getting your reader to click through to read more. ​Another free headline analyzer tool is the Advanced Marketing Institute’s Emotional Marketing Value Headline Analyzer. A free test by Google﻿﻿ to show you if your website is responsive, that it can be read easily on smart phones and tablets. Increasingly vital for online marketers as the number of people using their phones to access the Internet grows. 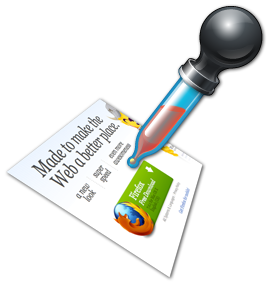 Very useful add-on for ﻿﻿Firefo﻿﻿x or Chrome to get a color reading of any color on a web page or analyze the page and see its palette of colors and more. I've used EasyWe﻿﻿bAutomation since 2006 and can highly recommend this affordable and totally reliable online system. It's Mitch Meyerson's private label version of 1ShoppingCart. Mitch introduced me to EasyWebAutomation when I was doing Product Factory with him and Michael Port, and was struggling to find a reliable system to build my mailing list and take payments online. I've never looked back. You don't have an online business if you don't have a mailing list. A reliable system is a necessity. EasyWebAutomation offers a free 30-day trial. Take it for a spin. ​​This is the same analyzer that Google uses. PageSpeed Insights analyzes the content of your web page and then generates suggestions to make that page faster. Reducing web page load times can reduce bounce rates and increase conversion rates. ​Published by Practical Ecommerce – did you know Google had so many free tools for entrepreneurs?